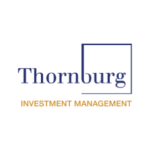 Thornburg Investment Management is a privately held investment management company based in Santa Fe, New Mexico with assets under management of $88 billion. Thornburg Investment has a clear mission: to preserve and increase the real wealth of our investors. They accomplish this through a range of equity strategies that redefine traditional measures of value and growth and through a family of bond strategies that focus on quality, stability and minimizing risk over time.